This audiobook is written for those people who want to hack systems to test identify the security holes and vulnerabilities of those systems. This audiobook outlines different tricks and techniques that an ethical hacker can use to assess the security of the systems, identify vulnerabilities, and fix those vulnerabilities. This is done to prevent any malicious attacks against the system. The hacking we talk about in this audiobook is professional, aboveboard, and a legal type of testing. It is for this reason that it is called ethical hacking. Network and computer security is a complex subject that constantly changes. You have to stay on top of it to ensure that the information you own is secure from crackers or criminal hackers. Ethical hacking, also called white-hat hacking or penetration testing, is a tool that will help you ensure that the information system you use is truly secure. 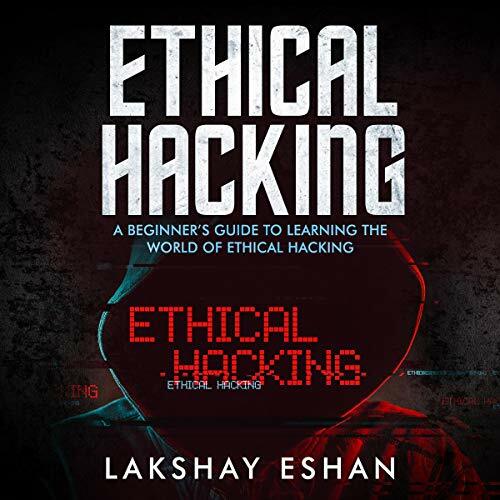 Over the course of this audiobook, you will gather information on the different tools and software you can use to run an ethical hacking program. There are some programs in this book that you can use to start off the ethical hacking process. I have a pretty good operational knowledge of computers since I work on one all day, but no real IT or cyber background. I wanted to review this book to see what I would learn and how I could improve my "cyber safety" at work and at home. I thought It was a decent overview and really got me started with an understanding of the basics and where I need to look to next. IMPORTANT NOTE: This audiobook actually comes with a downloadable PDF book that you can use as a reference. This alone was quite useful to me. The narrator for the book was good for this book, but I'd like to hear him narrating something less "instructional" to make a full determination. Solid 4 stars though. A view from the good guys. and Systems used in their Business. It gives good insight in a short time for a complicated subject. The Narrator did a good job in allowing the listener to absorb the material. I have a fairly strong background in software development, but would in no way consider myself a hacker. That being said, this book speaks about a hacker's mindset and talks about planning, but lacks any real depth on actual hacking. It is, however, a pretty solid introduction to a few programming languages that would be beneficial to someone wanting to learn the basics of coding. The accompanying PDF has some really good basic info. The narration and the PDF are not in sync. I would have to agree with another reviewer that stated the audio is just the intro of the chapter, and no real content. The PDF is the actual value here. The narrator, though, did a good job on what he was able to narrate. Why would this be sold as an audio book? There is no real content. Just introductions to chapters. Not even the most basic information is included.